Dr. Dinesh Ranatunga graduated with first class honors from Monash University Medical school in 2001, finishing in the top 10% of his year level. He completed his Radiology training at Austin Health and completed a Hepatobiliary/Interventional Radiology fellowship at the Austin. 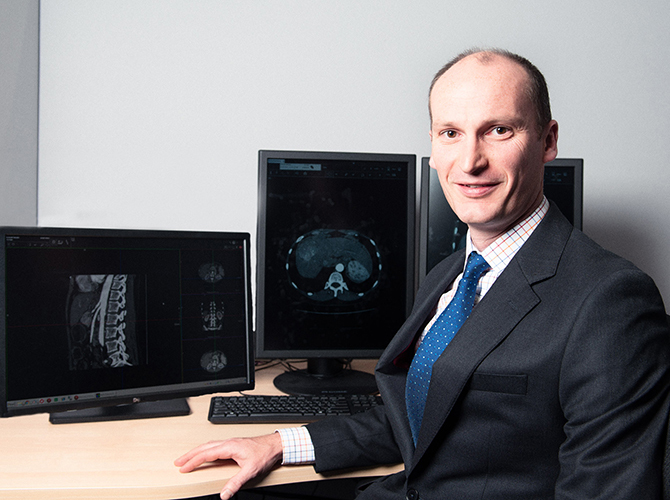 Dr. Ranatunga subsequently completed an Interventional Radiology fellowship in the United Kingdom at the prestigious Royal London and St Bartholomew’s hospitals where he was also appointed as a Consultant Diagnostic and Interventional Radiologist. 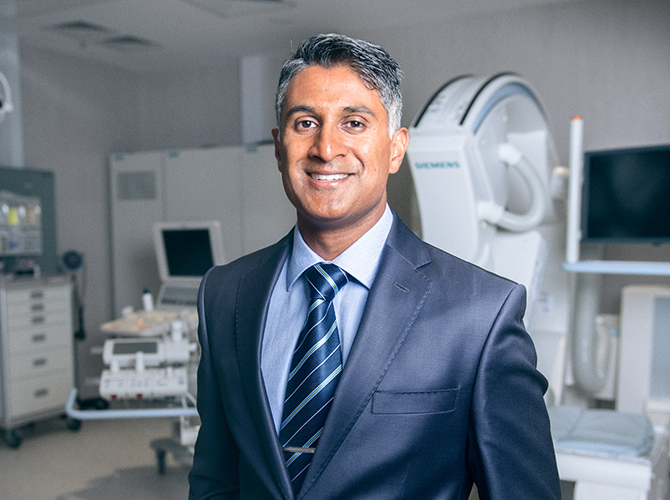 Dr. Ranatunga returned to Australia in 2012 to take up a post at the Austin Hospital as a Diagnostic and Interventional Radiologist and is now the Head of Interventional Radiology at the Austin. Dr. Ranatunga is a lecturer for the University of Melbourne and has completed research in both Diagnostic and Interventional Radiology with a number of publications in peer reviewed journals and has a number of book chapters to his name. He regularly presents work at local and international conferences. Dr. Ranatunga has particular interests in Body Imaging and Interventional Radiology performing a wide variety of interventional radiology procedures, but focuses on interventional oncology and endovascular procedures. Dr. Ranatunga is a friendly, meticulous and competent Interventional Radiologist who aims to provide the most up-to-date and evidence based service to his patients. He is happy to discuss the most appropriate treatment options for you as well as discussing how it impacts on other aspects of your medical treatment. If appropriate he may discuss options for participation in clinical research trials which may involve treatments which are in the process of being developed. He believes in a multidisciplinary approach to your treatment and will where appropriate discuss your case with other health professionals in order to provide the best treatment plan for you.